As I raced around the corner from a tar seal road to a metal road the back of Rolls-Royce’s latest model, a Super Luxury SUV, swung out, I’d clearly taken it too fast, but before I could even think to correct, the four-wheel steering system took over and I was back in control. While, this took place over a split second, I did have time to process a couple of panicked thoughts. I was in charge of a vehicle that not only started at half a million dollars at base price but this was also the day of one of the world’s most coveted luxury automotive brands launched their SUV to New Zealand. I really didn’t wanted to be forever linked to that auspicious moment for all of the wrong reasons. But I needn’t have worried of course. 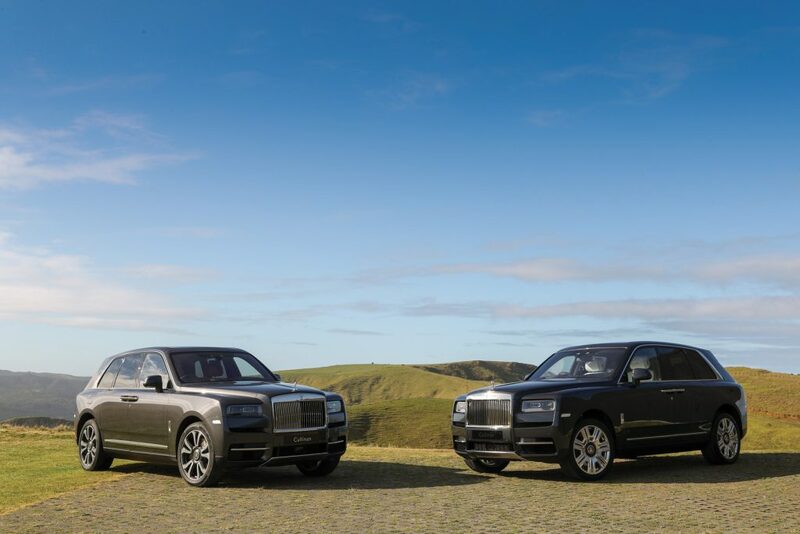 As well as a pedigree of handmade craftsmanship, Rolls-Royce also has a huge amount of technical innovation which really puts the “Utility” in the Super Luxury Sports Utility Vehicle. 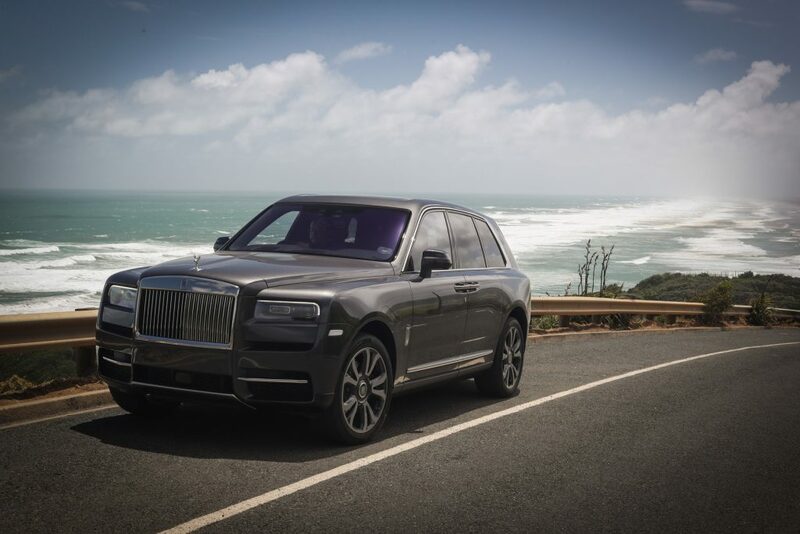 The Super Luxury SUV in question is of course the Cullinan, which was making its New Zealand debut at a driving event hosted at luxury hideaway Parihoa, in the Northwestern Muriwai coastal area. Named after the largest diamond ever discovered, which now resides in the British Crown Jewels, Cullinan is Rolls-Royce’s first high-bodied, all-wheel drive offering, and only the second Rolls-Royce to receive the company’s all-new proprietary ‘Architecture of Luxury.’ This aluminium spaceframe works with an advanced all-wheel drive system, four-wheel steering, four-corner air suspension, and a host of other new innovations to bring the signature Rolls-Royce ‘Magic Carpet Ride’ to unpaved terrain, without sacrificing the brand’s legendary on-road behavior as I was quick to discover. It was actually so comfortable and smooth that at times I felt more like a passenger than the driver. And of course in a car like this, it would often be the case that the rear seat passenger is the owner. The rear seat comes in two configurations: cockpit-style seats or a single lounge allowing seating for three. 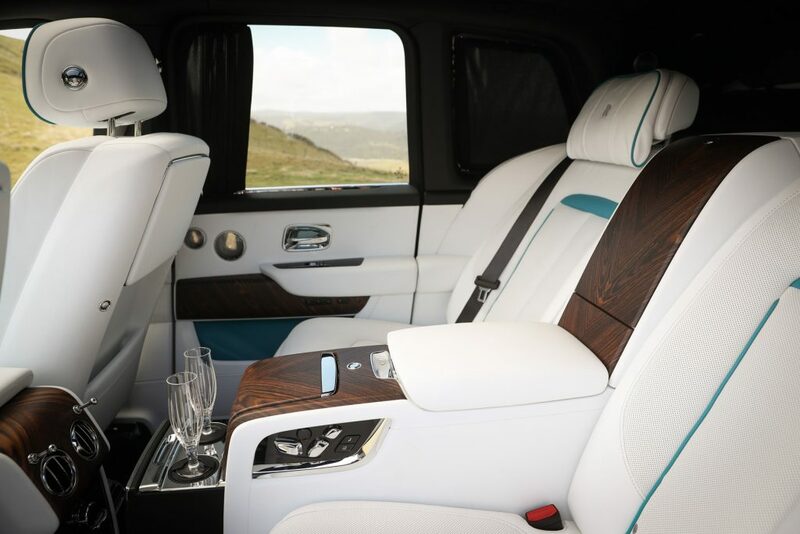 The front seat has a centre console accessible to the rear passenger that doubles as a bar, complete with glassware and a small refrigerator for those celebratory moments. This particular version, it was a Darkest Tungsten with arctic white interior, the back seats were two individual seats. But of course, there are many colour variations to choose from. In fact you can choose from 32 exterior paints, 18 leather colours, 8 veneers, 9 carpet colours and 4 different composites for the iconic Spirit of Ecstasy, but the near-limitless extent of personalisation goes up to over 44,000 exterior colours. 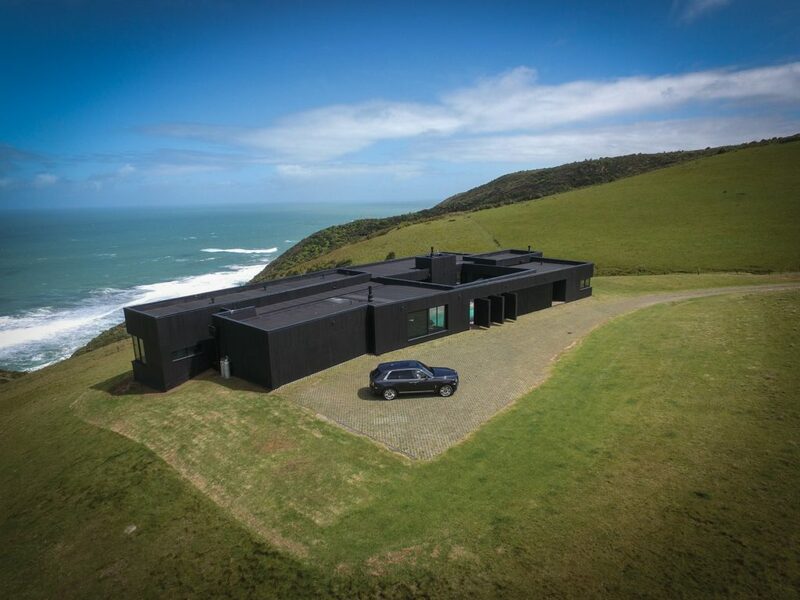 There is also a suite of bespoke features including a configurable storage compartment called the Recreational Module, which can additionally be specified to deploy two electronically-opening seats to form the Viewing Suite – the ultimate setting to take in the Muriwai coastal area or watch a rugby game. When there are no rear passengers to entertain, the rear seats can also be folded down for 21 feet of extra storage space. The real fun is still up the front though and that’s where the coolest bits are and you will find yourself with more gadgetry and electrics than a Bond villain. The steering wheel is augmented with a high-resolution display. 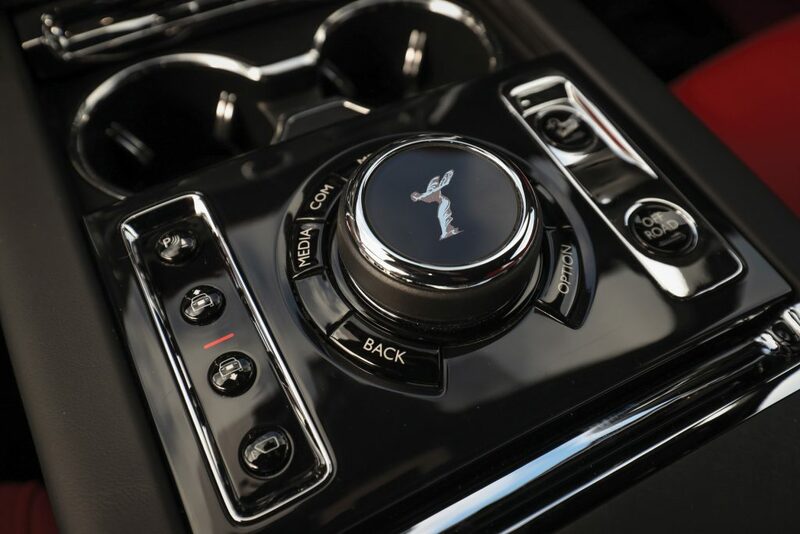 It also features advanced, built-in technology including night vision and pedestrian warnings, an alert assistant that helps to avoid drowsy driving, four-camera parking system with panoramic view, all-round visibility, active cruise control, Wi-Fi, and navigation and entertainment system. There are five USB ports, as well as wireless phone charging in the front seats. The day in fact could have been a scene out of a Bond film, four incredible Rolls-Royce vehicles were fanned out in front of me, The Ghost, The Phantom, The Black Badge Dawn and The Cullinan. In the background the rugged sweeping views of the West Coast beach contrasted by the lush green grass and The Parihoa luxury hideaway, a formidable home standing firm against the rugged natural beauty of its backdrop. A small Nissan was in front us, driving slowly, once we got to a clear straight stretch, our chaperone, The Phantom and then us in The Cullinan overtook the small hapless vehicle. It had no chance against the 6.75-litre twin-turbo V12 engine. It must have been quite a sight to see; two super luxury vehicles sweep past you in convoy, I can only imagine. 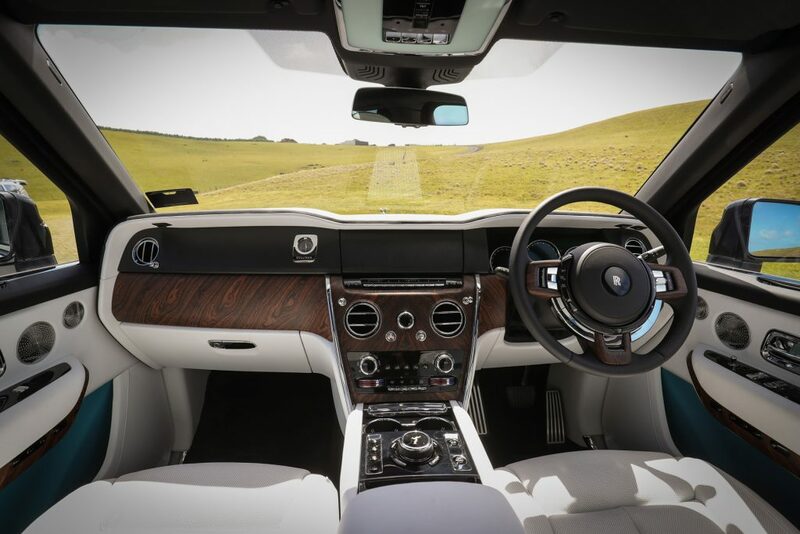 In many ways, it was a privilege to test drive Rolls-Royce first Super Luxury SUV hand-built in Goodwood, West Sussex and available from $535,000 with the first customer deliveries beginning in early 2019. The next step now is for me to own one.